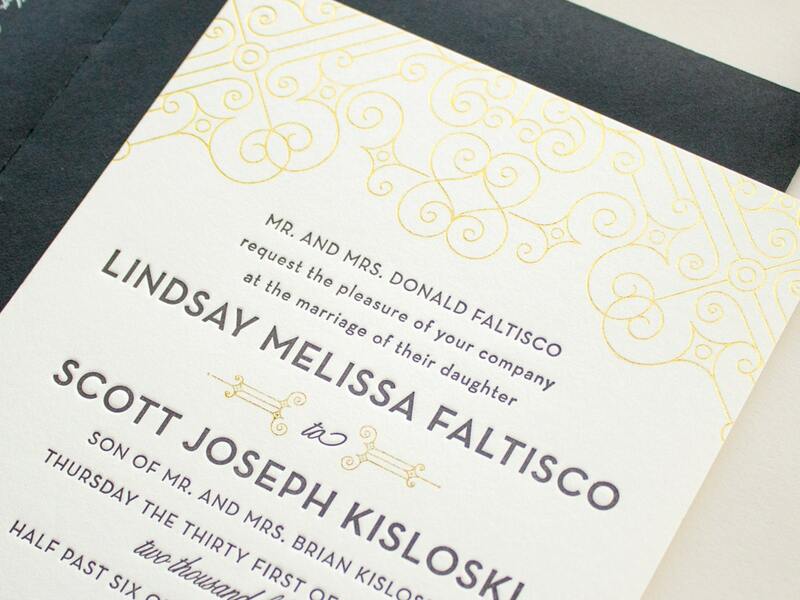 These gold foil wedding invitations have a vintage art deco feel and feature metallic gold edge painting on 2-ply cotton paper. 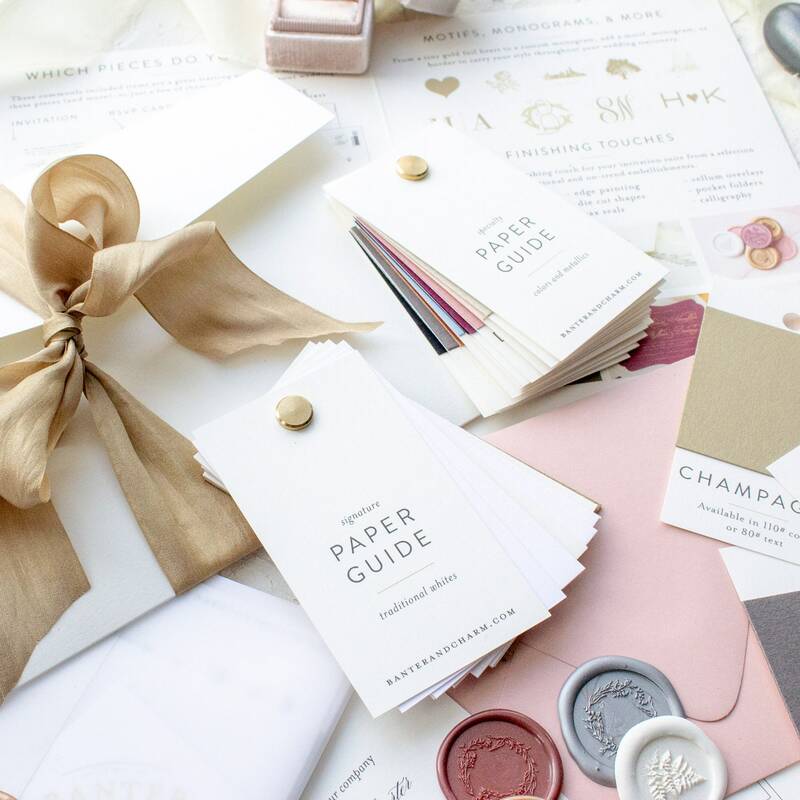 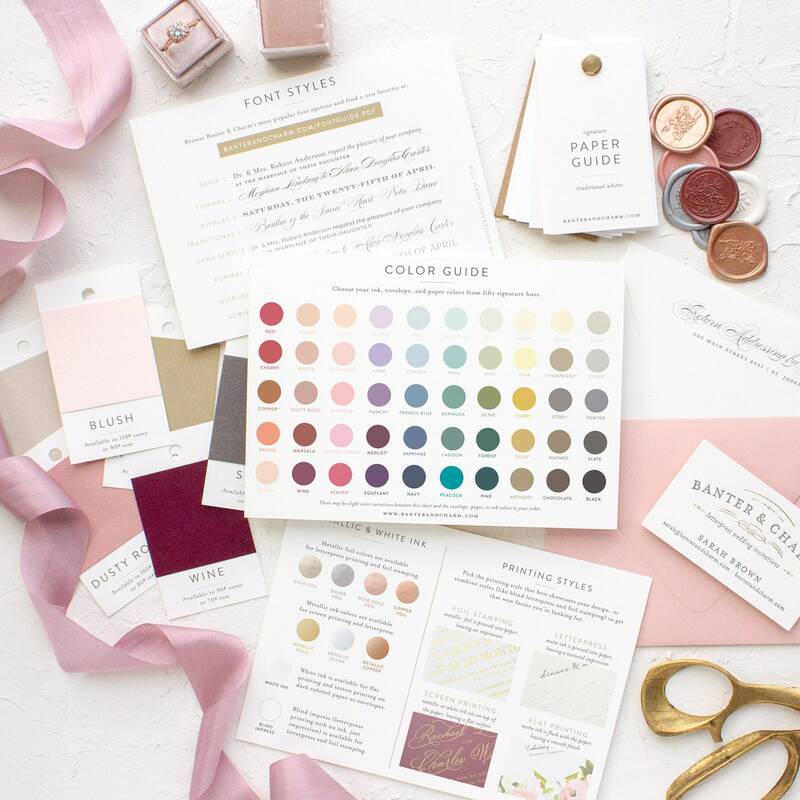 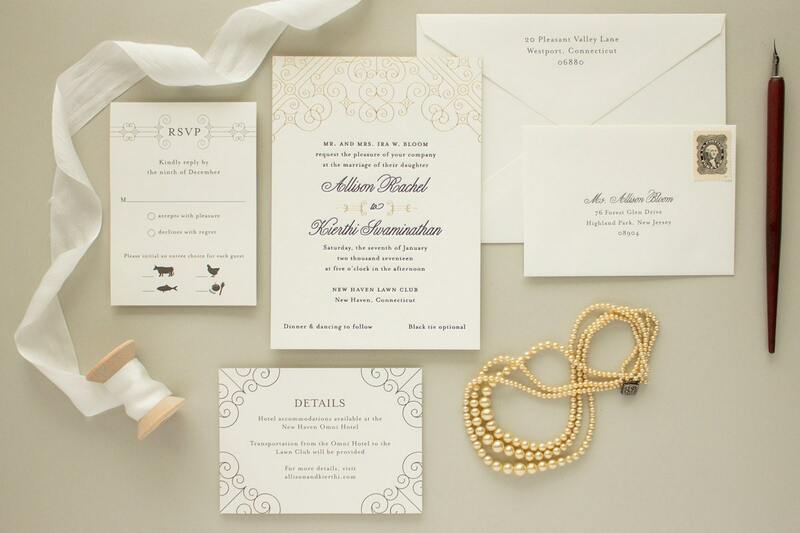 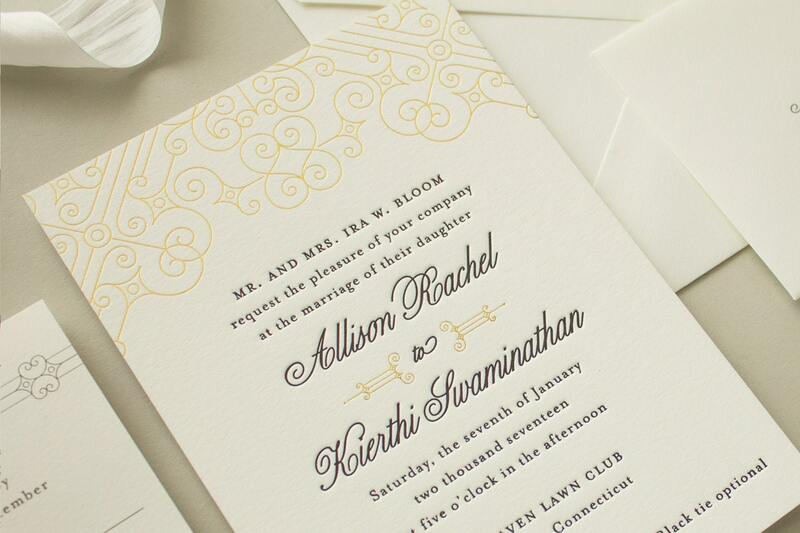 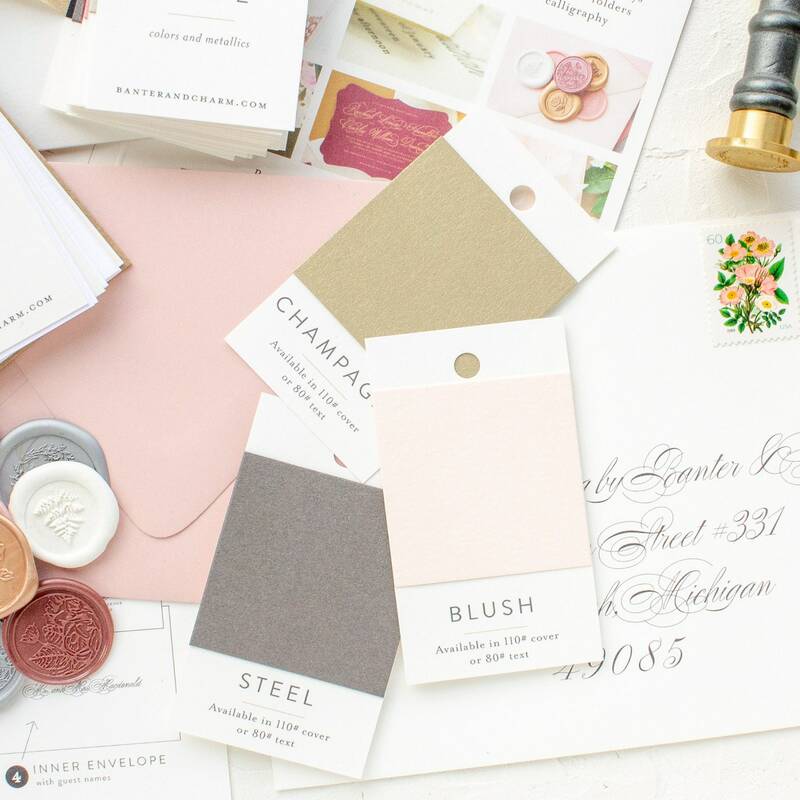 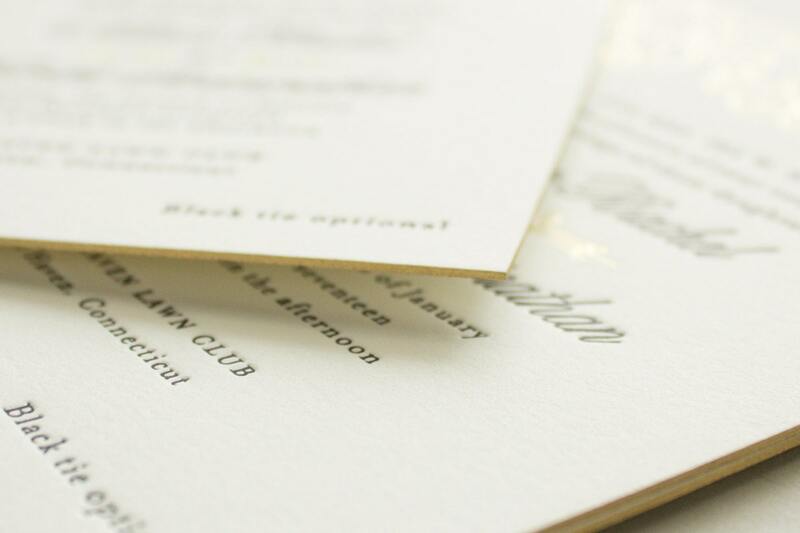 Letterpress wedding invite samples are not personalized and are sent with the colors and wording shown. 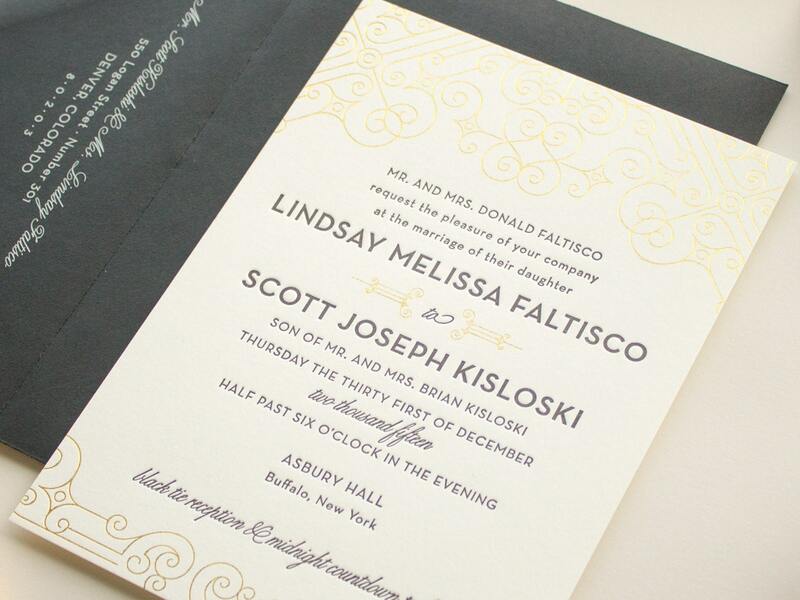 This listing is for a SAMPLE of the Posh wedding invitation.